It is 2am here in Japan right now. Got back not long ago from 3 days of backpacking and tenkara fishing. Dead tired, leaving early tomorrow morning to meet Dr. Ishigaki in Nagoya and then heading to the mountains again. I should be sleeping but couldn’t wait to share a few photos that caught my eye when I was putting them on a hard drive. Tremendous time, some excellent video footage and more photography to come, including interviews with Mr. Sebata, video on tying the Sebata tenkara fly (really unique, you don’t want to miss this one when it comes out), interview with Mr. Yoshida and more. Fascinating Daniel. I can’t wait to read more about your trip and to find out more on Mr. Yoshida as well as Mr. Sebata and his fly. Thanks for the update. What fantastic pictures Daniel. You are clearly at peace!! Great stuff and can’t wait to see more. 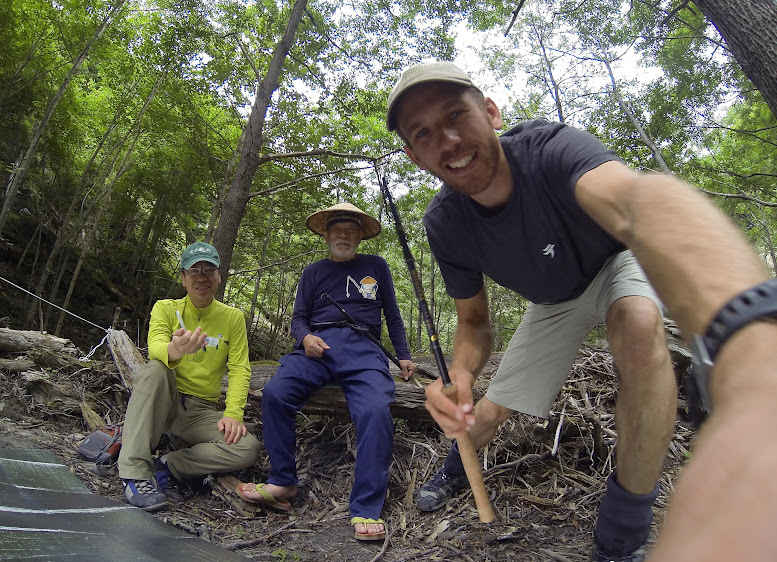 I think you must have had a great time fishing with Sebata-san and learned a lot of new things. I am looking forward to hearing from you about him. Oh man thats good stuff ! Also glad to see no report of close encounters with the before mentioned hornets. Not meaning to jump over your later reporting but seeing Mr.Yoshida I suspected there might be something on his web site about this outing too. 南アルプス取材釣行 Southern Alps reporting fishing line..